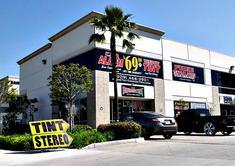 Audiotint Connection provides a wide variety of quality car accessory sales and custom installation services to the entire Inland Empire and Ontario, CA area. Let our audio experts assist you with selecting the perfect audio or alarm system for your car or truck. We provide a wide variety of quality brand name products and have a large selection of custom wheels and tires.